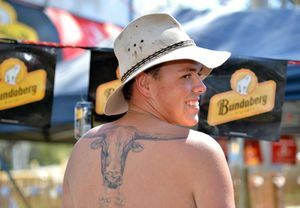 TWO aspiring country music artists got up close and personal with their idols at the Gympie Muster by doing behind the scenes interviews. Jess Edwards and James McDonald, of Gympie, attend the Australian Institute of Country Music (AICM) and filmed the interviews for a class project. On Friday they sat down with Aussie duo McAlister Kemp and Muster favourite Jasmine Rae, among several others. Ms Edwards, 23, conducted the interview while Mr McDonald, 16, operated the camera. The singer/guitarist said it was a thrill to sit down with the stars, although it was slightly nerve-racking. "It was pretty exciting," she said. "We always get nervous but usually the artists are a lot more relaxed than what you would think, maybe that's because they're country." At last year's Muster, she interviewed another country music great, Adam Hervey. "He was just really down to earth and it was more of a conversation than a video interview." Mr McDonald prefers working behind the scenes, but has dreams of one day being a bass player. He has being coming to Muster since he was one year old but it's his first time using a high-tech Sony camera. "It's actually really simple once you get your head around it," he said. 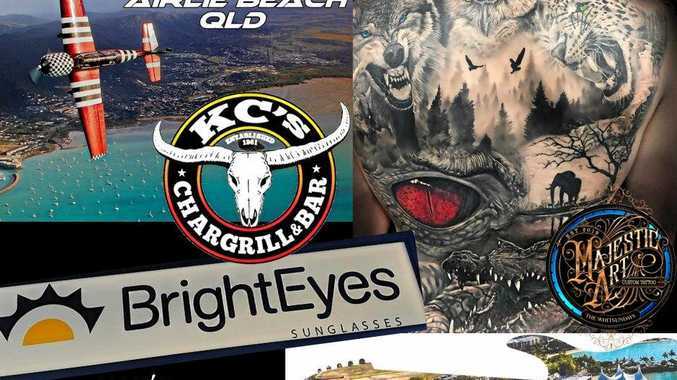 Vote for the best tattoo at this year's Gympie Muster!